Home / Civil Rights (Voting Rights, Juries, Census) / What Happened in 2016? As we come to the end of another year, we wanted to take a moment and update you, our supporters, on some of the work that we have been undertaking at the Native American Rights Fund this year. With three offices (Colorado, DC, and Alaska) and 17 attorneys dedicated to fighting for Native American rights and justice, we always have a variety of cases and projects in process. Some of our cases have gone on for thirty years or more, some of them see quick action and results, some of them help specific tribes or organizations, others affect the lives of thousands of people across Indian Country. 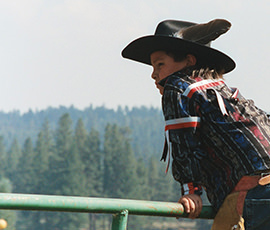 Many of our case outcomes have furthered progress in the development of Indian Law, which has led to the expansion of tribal sovereignty, human rights, treaty rights, and justice for Native peoples. The list below is not exhaustive, but it gives a glimpse at the breadth of NARF’s work and recognizes a few of the milestones that our attorneys and staff celebrated in the past year. Alaska Native Language Voting Rights – The Voting Rights Act (VRA) clearly requires that all voting materials be translated to Native languages to enable informed voting for all U.S. citizens. When NARF researched the impact of the VRA in Alaska, they discovered that Alaska had been violating the VRA since the day it passed in 1975. For more than 30 years, the needs of the indigenous language speakers in Alaska (Yup’ik, Inupiaq, and Gwich’in among others) had been ignored. After multiple cases and months of negotiations, the State of Alaska agreed to a variety of action including providing language assistance for Native voters. North Dakota Voter ID – North Dakota House Bills 1332 and 1333 put in place the most restrictive voter ID law in the nation. NARF filed suit claiming that the new law disproportionately burdened Native Americans and denied qualified voters the right to vote. Federal Judge Daniel Hovland wrote, “[t]he record is replete with concrete evidence of significant burdens imposed on Native American voters attempting to exercise their right to vote in North Dakota.” On August 1, 2016, the court enjoined the law and provided fail-safe mechanisms for voters in the November 2016 elections. This year, NARF was pleased to see the end of a ten-year old case that challenged the “Alaska Exception” of the Department of Interior’s regulatory process for moving lands into trust. The “Alaska Exception” arbitrarily barred Alaska Tribes from participating in the regulatory process. After plaintiff Tribes won on all counts in federal district court, the Department of Interior removed the “Alaska Exception” from 25 CFR §151. In doing so the Department acknowledged that Trust lands are important for self-determination, self-governance, and the fulfillment of the federal trust responsibility. A number of applications by Alaska Tribes are currently under consideration by the Department of Interior at the current time. On June 15, 2016, after nearly three decades of work with Indigenous Peoples, the Organization of American States (OAS) adopted the American Declaration on the Rights of Indigenous Peoples. The OAS consists of the 35 independent states of the western hemisphere. Over the years, numerous rounds of negotiation were held and NARF attorneys represented Native American interests in the negotiations. The widely followed protests in North Dakota were a focus for many in recent months. NARF is honored to stand firm with the people of the Standing Rock Sioux Tribe in their fight to stop the Dakota Access Pipeline. NARF is working directly with the attorneys for the Standing Rock Tribe (EARTHJUSTICE) to develop and coordinate an effective amicus brief strategy in support of the tribe’s lawsuit and will be providing direct assistance in channeling the support received by Standing Rock Sioux to provide a strong and unified voice in the federal courts. In October, NARF and the Indigenous Peacemaking Initiative unveiled a redesigned website dedicated to traditional dispute resolution practices. The site, available at http://peacemaking.narf.org, provides information and resources for Native communities seeking to continue and revitalize peacemaking and traditional dispute resolution in their communities. Of course, our work is only possible with your support. So, thank you for helping to make this and so much more all possible. These are just a few highlights from the past year at NARF. Each represents a complex legal issue or story. We invite you to learn more about these cases and more at our website, blog, legal reviews, and Facebook page. If you like what you find there, please share it with your friends and family. Let them know about this ongoing and often-overlooked fight for justice. As we look back at this past year, we appreciate you walking this path with us.